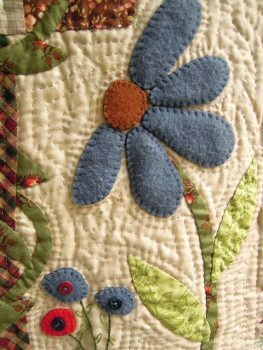 Quilting in smaller groups is a great way to get to know people and feel like you really belong.. If you do not see one that you are interested in, maybe it is time to start another one! Maybe one for paper-piecing, hexys, machine embroidery, hand quilting or a Round Robin Group! If you are interested contact any board member. Our “Groups” are like Quilting Bees. They are a gathering of people who want to share ideas, projects and companionship. That‘s it. We encourage you to take a peek and see if any of these interest you. No sign up required. Piecer Group – Started to help each other with machine piecing. It meets at Always in Stitches in Noblesville from 1-4 PM on the third Tuesday of every month. Usually 6-8 people participate. It has evolved. Some people bring their machines and sew, others hand sew. Sometimes people just pop in to visit! Knowledge is always willingly shared. We were all beginners at one time. Handwork Group – Started as a “Wool” group but has evolved into any type of handwork, wool embroidery, binding etc. It meets at Always in Stitches on the LAST Tuesday of the month from 1-4 PM. Usually 6-8 participants show up. Little Dresses for Africa Group – Make simple dresses for young girls in Africa or other mission sites all over the world. Bring sewing machine, cotton fabric appropriate for a young girls (not too sheer for their modesty), 1/4″ or 3/8″ elastic, double fold bias tape, and colors. Meeting at Always in Stitches dates fluctuate, so check the website calendar for details. DOWNLOAD DIRECTIONS. 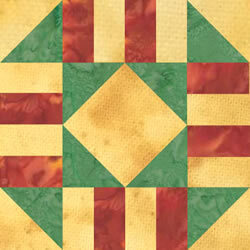 Block of the Month Group – Each month a block pattern will be presented by one of the committee members. Printed instructions will be handed out at the meeting and links to the pattern and/or the pattern will be provided in the newsletter via the website. Members may participate every month, or less often. If they bring a block or two and want a chance to take all the blocks home, they drop their name in the basket for each block they brought, for a drawing. We have had as few as 11 and as many as 30 participants! Lunch Group – The Lunch Group was started because after the meeting we were HUNGRY! Going to “Play” at the library for the afternoon would require nourishment! So it started with brown bag lunches, then to picking up something to eat, then a few people just started going to local restaurants. Then before long, it actually became a “thing“. Suggestions will be made at the end of the meeting on locations. So please leave your name tags on, if you do this, so our new members can find our group.